Lucille Allain is Associate Professor (Practice) Social Work in the Department of Mental Health and Social Work. She is Director of Programmes, External Partnerships and Professional Lead, Social Work and is the academic lead for a range of partnership projects including Think Ahead, Step Up to Social Work and the North London Social Work Teaching Partnership. She teaches undergraduate and postgraduate social work students and experienced practitioners undertaking CPD programmes. Lucille qualified as a social worker in 1992 with a postgraduate social work award. Her first degree was in history and politics and she holds an MSc Social Research Methods, Postgraduate Certificate in Higher Education, Postgraduate Certificate in Health and Social Services Management, Professional Doctorate and is a Senior Fellow of the Higher Education Academy. Lucille is a professionally registered social worker with the HCPC and has over 20 years' experience working in London local authorities. She worked as a social worker, team manager and strategic commissioning manager before moving to a joint appointment role with Middlesex University and Barnet Council. There she successfully developed a postgraduate social work trainee scheme for a number of London boroughs. Lucille has worked at Middlesex University for over 10 years and has also led social work at the University of East London in the role of Associate Dean. Her doctoral research focused on young people leaving care and service user involvement in social work education. One of her recent, jointly-led research projects involves researching Special Guardianship Orders and connected persons placements for looked after children and their carers. In her other research, she is the principal investigator in a project evaluating interprofessional working relationships between social workers in adult social care and trainee GPs across north and east London. Lucille has published social work texts focused on social work with looked after children, advanced social work practice with children and families and more recently, an edited book on observation in health and social care. Lucille has also written a number of journal articles and presented her work at national and international conferences. She is currently an independent panel member and Vice-Chair of the Tri-Borough Fostering and Adoption Panel. Lucille has taught on social work programmes from undergraduate to postgraduate level since 2002. She has expertise and an interest in child and family social work, including looked after children and fostering and adoption. She also has expertise in skills teaching and preparing students to meet readiness for direct practice requirements. She teaches social workers and managers practice education, supervision skills and leadership and management. She is experienced in curriculum design for professional social work education programmes and recently developed a new programme in partnership with the Business School- MA/MBA Leadership and Management (Social Work). Lucille has extensive experience of successfully building and enhancing employer stakeholder engagement within the curriculum and involving service users and carers. Lucille's research is rooted in her interest in professional social work practice and education, in particular in the field of looked after children, fostering and adoption and leaving care. Lucille has also published in the area of interprofessional practice and education. She has presented her work at a number of conferences, including at the Joint Social Work Education Conference and at European Social Work Research Conferences. Recently, Lucille has been researching practice relating to the experiences of looked after children, their carers and professionals in relation to connected persons placements and Special Guardianship Orders. She has also recently completed evaluative research with colleagues focused on interprofessional working in adult social care involving trainee GPs and social workers. Allain, L and Hingley-Jones, H (2011) 'Safeguarding children: the complexities of contemporary practice and the importance of working with emotions' in C Cocker and L Allain (eds) Advanced Social Work Practice with Children and Families Exeter, Learning Matters. Allain, Lucille and Hingley-Jones, Helen (2016) Female genital mutilation: the social work perspective. In: FGM Conference, Middlesex University, 20 February 2016, Middlesex University. Lucille is social work academic lead for a number of external partnership projects including Think Ahead, Step Up to Social Work and the North London Social Work Teaching Partnership. 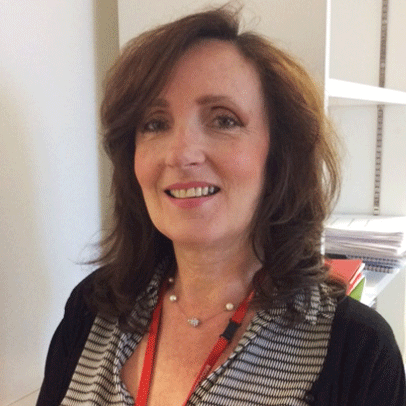 Lucille chairs the Social Work Stakeholder Group at Middlesex University and has extensive professional links with local authorities and a range of employers across the social care sector. She has experience of developing partnership networks and designing and delivering innovative programmes in health and social care.